Spider veins are a sign of impaired blood flow. In the body, veins carry blood back to the heart. When their structures are impaired, blood is retained within the veins. 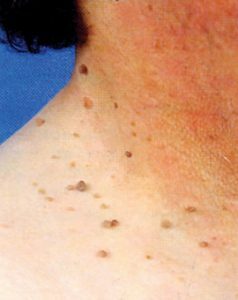 Skin Tags are very common and most frequently found on the neck and face. They often appear with a neck like a mushroom and vary in size from a tiny speck, smaller than a grain of uncooked rice to the size of a large pea or even bigger. The are often found in areas of friction such as underarm, under the breasts or around the neck where necklace irritates. 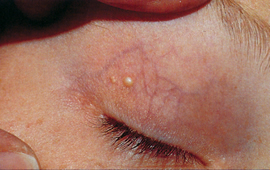 Milia are tiny white hard lumps containing Keratin which lie superficially under the surface of the skin and can be easily treated with ACP techniques. Their exact cause is unknown although they are often associated with dry skin which can be acidic. There is no treatment available that will permanently stop the unwanted facial hair growth. It mostly is hormonal imbalance that causes unwanted facial hair. 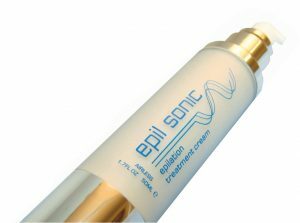 Epil Pro is a sound wave treatment. It’s a unique and a superior alternative to conventional electrolysis. Truly non-invasive, pain free & needleless. Safe for people who have diabetics & epilepsy. Treats smooth moles. Slower regrowth. Much faster than electrolysis in results. It is not a permanent removal of facial hair. The hair will grow back but softer and lighter in colour over period of time. The gap in the regrowth gets bigger and bigger.